From here you can go to the Science Fiction Discussion Group Site or Raja's SF Project site. 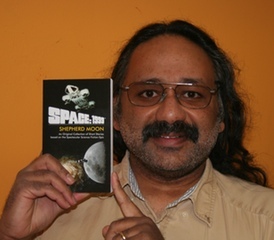 Raja also contributed to Shepherd Moon , the first official, licensed anthology of short stories set in the Space: 1999 universe. You can order Shepherd Moon online . Read a slightly spoilery interview with Raja and his collaborators.